Ok so I am now back from 7 weeks in France and to be honest if I am so glad to be getting back to eating more normally (for me anyway). So while I was away what I ate just got out of control, even though we were staying in an apartment we did not have an oven, only a dreaded microwave and a couple of hobs. As part of the challenge while I was away was cooking anything at all but then there was the eating out. i have to say that there was a massive lack of variety and a total disaster for vegans. Finding a restaurant with a vegetarian option was a major headache and explaining vegan to them would have been impossible. So all of this means that while I was a way I ate dairy which I not only hate for moral reasons but also because of how it makes me feel physically, and then there was the white flour, in bread, croissants, crepes, pasta, you name it you can find it. When at home I try and limit my gluten intake and prefer to use grains like spelt to make sure I have a greater chance of digesting it. Another thing I started while away was drinking caffeine, this mainly started when I was doing long drives but I got a bit hooked. Finally the biggest holiday problem was sugar, obviously in the form of white flour but also as desserts, they were so hard to resist and I am sure we all know the one thing the French really know how to do is desserts! I am back now and knew I needed to kickstart my health and hopefully lose a little bit of weight along the way. 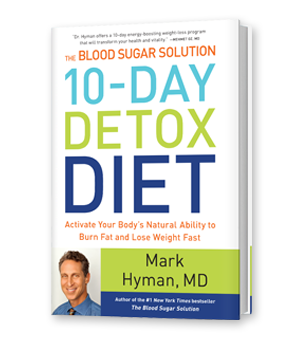 I decided when I was away I would give Mark Hyman’s 10 Day Detox Diet a go and see how it went for me. On reading through it I was a little concerned as it is geared towards people who eat meat and the protein options for a vegan are limited but I should be able to get through it. As part of it you need to give up dairy (there already), gluten (always good to have a break), beans (slightly scared face at not knowing what to eat instead), grains (all of then, every last one). So on reading that I was now contemplating exactly what my meals would be like. When I got to the recipe section I was nicely surprised by just how many great dishes there were and I am sure it will go without a hitch (cue worried face). Today is Day 1 and I am not sure I will update you everyday but I will definitely give you other updates along the way and a final round up. So far I am actually surprised at myself, the food has been amazing and kept me full but I am having some sort of psychological reaction to being on a detox. I have a splitting headache which might be due to the lack of caffeine and I am feeling a bit stressed and under pressure. I am hoping that when I have my detox bath later and write my day 1 journal I will start to feel more chilled. Where I am already struggling and am expecting it to stay that was is detoxing from technology. All of the work I do is on my computer and this is obviously being written on my computer but I decided to be realistic with myself, so no more than 1 hour of TV each day and use the computer for work only. I have left my phone in the other room and will not use it to check social media and will only skim my emails 2 or 3 times each day (unless there is something urgent I am waiting for). This for me is a compromise and a massive improvement on what I would normally do. So now you know all the little nasty things about me that I would never normally tell anyone and for those of you reading this that are thinking I don’t really have any problems you are right but life is all about perspective and which side of the fence you are sitting on. One of the reasons I am sharing this all with you is to teach me to accept myself the way I am and not make a big thing about being perfect.